Do you feel there is room for improvement in your game? Do you know you can do better but just can’t seem to Find that edge? You practice, you may even take lessons or extra coaching, but the one major addition to lowering your score may have been overlooked, guided imagery. Success visualization is known to be effective because as you Imagine or see an activity, the neurons in your brain, fire in exactly the same patterns that they would follow if you were actually performing the action. 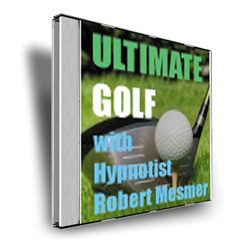 After listening to this session you will be anxious to get out on the course and apply this positive visual imagery of the precise motor skills required. Your subconscious mind takes these images and translates them into the proper actions during your performance. You will find a new confidence and calmness, which will help you concentrate completely on your game.